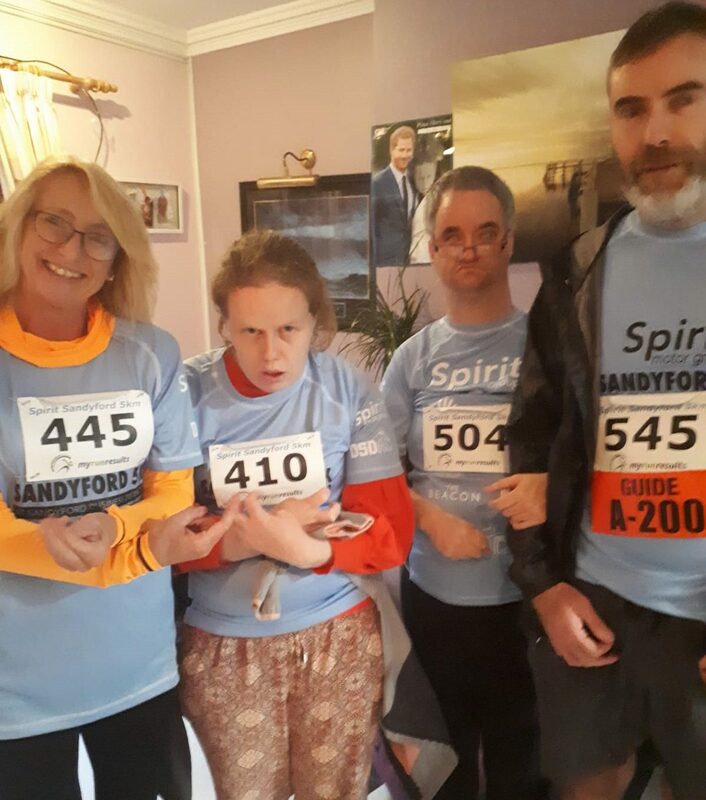 Big congratulations to our team of 2 service users and 3 staff who participated in the Sandyford 5k last Thursday evening. It was a very wet and windy night in Dublin but the team were very happy with the distances and times they achieved despite the conditions. A big thank you must go to all the people who helped the service users prepare and train for the event and all the people who supported their online and offline fundraising efforts.